How to CRUSH YOUR FOOd cravings and overcome your emotional eating In as little as 7 days even if you have done diets like, forever, and don’t see a way out, SO THAT you can be at a healthy weight and keep it off! I’m going to show you how my clients went from food addiction to food freedom in as little as 7 days, including the exact system that keeps you energized and stop your sugar cravings without following a strict diet or restricting all the foods you love! 95% of people who diet will regain their weight within 1 to 5 years. 45% of people turn to food to deal with their emotions. 30% of people who are overweight and trying to lose weight suffer from compulsive eating. You are a woman struggling with sugar addiction, emotional eating, compulsive eating or binge eating. You want to live a life without dieting or restricting the foods your love. You want to feel energized all day without turning to food as a quick fix. You have been told that you need to follow a restrictive diet to stop overeating and lose weight. You have been told that sugar is evil and you must cut it out of your life for LIFE! You have been told that you are lazy and that you don’t really want to change. But you have no clue what to do because you tried other programs and failed. You tried cutting certain foods, various breathing techniques, positive affirmations, and still find yourself where you started. But you see the possibility to break free from your food addiction. You tried avoiding the foods you are addicted to. You tried a low-carbohydrate diets, like Paleo or Keto. You tried detoxing your body. You even tried fasting because you had no idea what else to do. None of these stopped you from overeating. None of these helped feel energized all day long. None of these freed your mind from food thoughts. You tried appetite suppressants and weight loss products, which cause you to eat even more when you stop taking them. You tried meditation and mindset techniques, which don’t fit in your busy reality right now. You tried journaling your feelings, which make you feel angrier about yourself. You tried therapy but the person didn’t get what you were going through. Completely shattered that any attempt you are trying drifts you farther from any hope of reaching your goal…and gaining even more weight in the process. Wondering how people are able to not overeat and go on with their day. Pondering what can you do to break the addiction you have with food. Grappling with the possibility that this might never happen to you. Puzzling on what else you can do to stop over eating and losing control. Doubting if you will ever have the same kind of food freedom that others have, if you will EVER be the one that can eat 1 cookie without eating the whole box. Go on with their day without thinking about food. Enjoy desserts fully and able to not finish it if they aren’t hungry anymore. Are surrounded with sweets and not craving them. All without worrying about food! and dieting is the villian here! Everytime you put your body on a diet, your serotonin levels (happy hormones) actually decrease, which will cause an increase in sugar cravings to boost serotonin levels. 35% of people who start dieting will actually get ADDICTED to dieting and be stuck in that vicious cycle for life. Restricting any type of food will give that food power over you, and lead you to overeat in unhealthy and detrimental amounts. Every diet you do will lower your metabolism even more, and cause you to gain more weight in the long-term. Every diet you try will cause your body to release even more hunger hormones to get it out of the ‘famine state’ it is in and make you eat out of control. The need to turn to sugar and food for energy, for anxiety, boredom, or when anxious. The problem of needing a food ‘fix’ during the day. The struggle with not knowing what to eat to have a balanced day and feel energized. It literally & truly takes you from over eater to balanced eater in less than a week without getting a brain transplant. Holiday season, and New Year, is THE time of year where the dieting industry will spend billions of dollars on marketing to get you to believe their diet is for you! But, please, don’t fall for them. 99.9% of the dieting industry is not lead by health professional CARING for you, your health, your family. Their end point is just $$$, and they always end up winning. Establish the idea that not knowing WHO to trust can result in catastrophe. 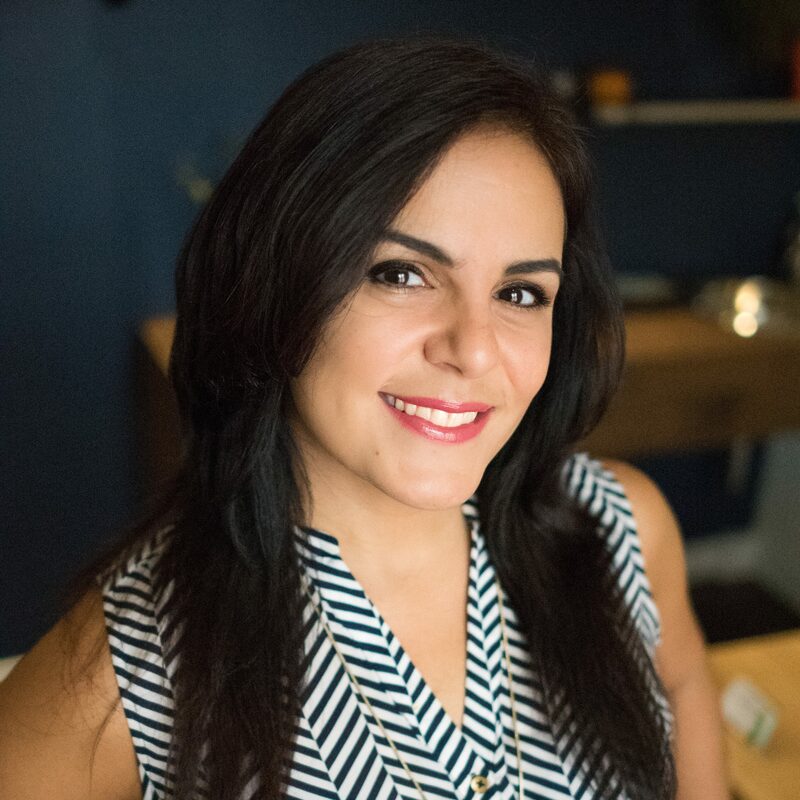 I’m Dina, Registered Dietitian, NLP coach and leading health expert helping woman just like you for over 16 years. I went from leading an unbalanced and food-addicted life, and low energy to having a clear mind, balanced meals without losing control, and never turning to food when things were tough. I am a busy body taking care of my family, my 2 clinics and my online business (read: I am always on the go, so I know what to do to stay in check no matter how busy you are). I have been featured on BT Montreal TV, Global Morning News, Le Must Magazine and many media and magazines over the past 16 years. I helped over thousands of women in the last 16 years stop overeating, turning to food for comfort and always exhausted and hungry to feeling energized and free from emotional eating and loss of control with certain items…all because I know what they are going through and because I use proven systems and methods because I want my program to be their last. ‘If it was that simple, no one would be overeating or compulsive eating’. ‘It won’t work for me. I’ve tried other methods and they didn’t work’. Focus is on the physical cause of overeating and binge eating without restricting the foods you love. Fine-tuned for over 16 years with a high success rate since it is adaptable to everyone. Not focused on getting rid of the physical addiction in a realistic and long term way. Cookie-cutter product offered for the masses, and not adaptable to fit the person’s lifestyle. Specifically designed to give you the first LEAP into controlling your compulsive eating. Designed to make you follow a restrictive diet and cutting the foods you love. Not accessible to all, and not modifiable to fit your lifestyle and family. Delivered in a clear and practical format with no room for confusion. Workbook and PDF handouts provided to maximize your success during the week. Mostly theory with no follow-up support. Start gaining control over your compulsive eating and binge eating habits within a week! 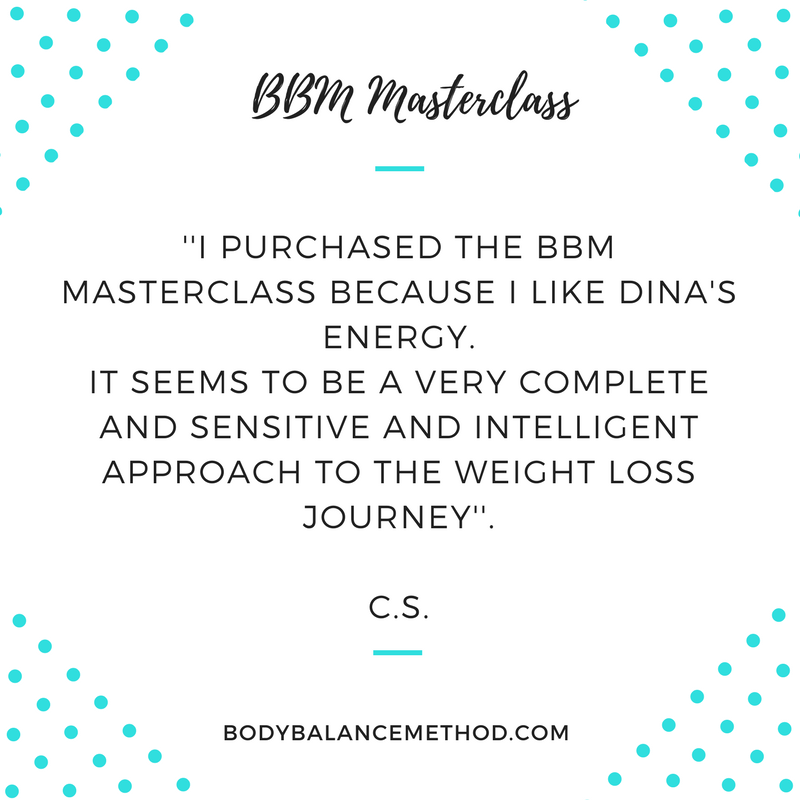 Learn the BBM 4-step framework that you can implement in your life within 24 hours and overcome the physical needs of your overeating and compulsive eating! Participant workbook that guides you in specific and actionable ways in helping you plan your week for success and balanced eating. Access for life to the Masterclass recording. Paint a picture of their life WITH your solution. How a typical day would look like now that they have your THING. The easiest and fastest way to stop sugar cravings and overeating in the tracks while STILL enjoying the foods your love using the BODY BALANCE METHOD. Mauris eget ligula fermentum mi luctus condimentum. Vivamus ornare vestibulum tincidunt. You can get this product for only $47 if you are a go-getter and grab it to help you start 2018 on the right track! Ut ut nulla ac nisl porttitor finibus. Etiam pharetra, lacus in cursus lobortis, risus urna tempor mauris, in lacinia sapien dui ut orci. You will have access to a private FB group to help you conquer this masterclass, get all your questions answered, and LEAP and SUCCEED! Vivamus et ex vitae dui feugiat pulvinar. Q. will this work for me? The BBM program is a proven method that works with the human body to balance its physical health so as to diminish all out-of-control eating habits. If you are a human, this will work for you. But, you need to put in the work. If you feel that this is not the right fit for you, it is ok.
Q. Why is it priced so low? Because I want you to see that you CAN gain confidence and control over your eating behaviors. This is a crucial course to give you that first big LEAP to finally find the perfect plan for your needs, and I want you to LEAP into health! Q. Will I lose weight? You may or may not lose weight. 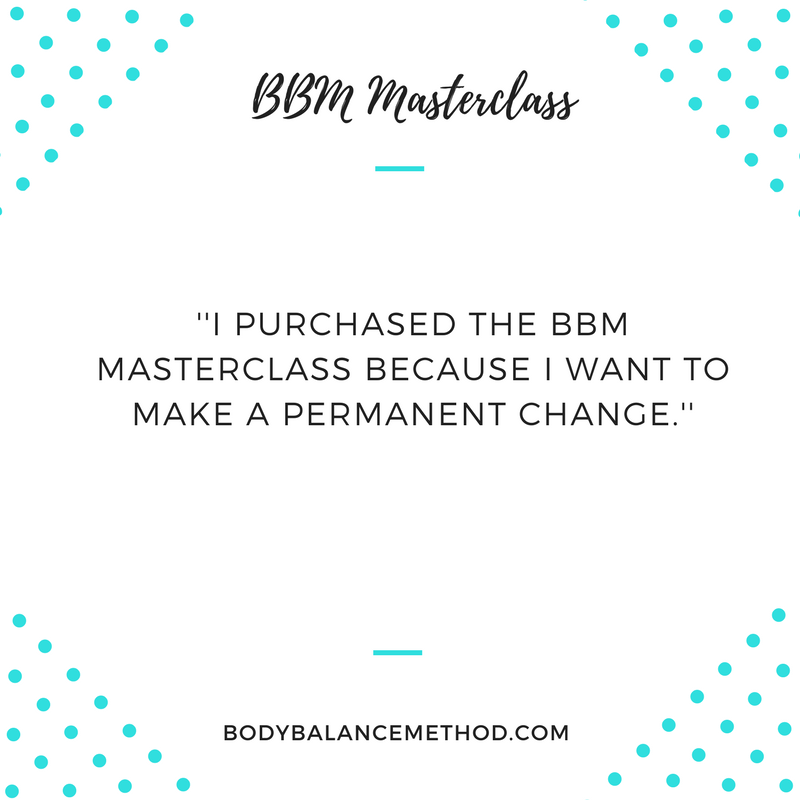 The BBM program is about finding the physical balance to help you build a healthy relationship with food. Yes, the weight loss thoughts will pop up here and there, but focusing on the weight loss will only keep you in the dieting yoyo life, and you deserve more than that destructive dieting cycle, don’t you agree? This is a live training AND you will have the recording for life. There is no refund. Still unsure if this is a great product? ‘Dina, I would like to thank you once again for your excellent work and professionalism. 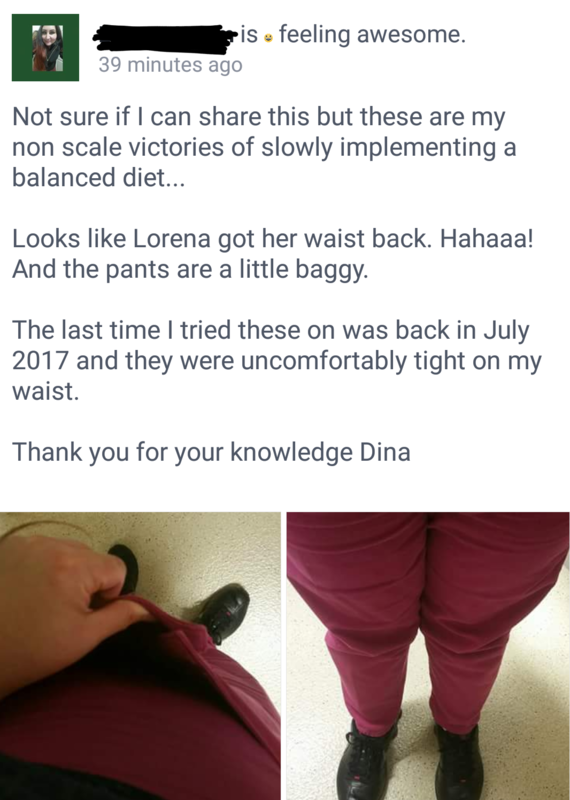 By following the plan you provided me with, I was able to build healthy food habits, and with exercise was able to lose 18kg in a healthy way. Thank you!’ S.C.
‘Everything you need to achieve a healthier version of yourself. Dina helps you find solutions to match your lifestyle. For her, nutrition is not only about food, but also about your emotional state and your physical wellbeing.’ C.J. ‘Dina saved my life. I was drowning in my eating disorder, and she helped me see the light where I could only see darkness. Thank you.’ L.F.
‘This Masterclass has been a very valuable experience for me. I have gained insight and learned a lot about my body. No other program made so much sense to me.’ S.B. Etiam maximus fringilla ante. Cras lectus mi, maximus nec accumsan in, feugiat quis ipsum. Donec malesuada nisl sit amet sem pellentesque, a varius lectus ornare. Nunc convallis finibus elit facilisis dignissim. venenatis id lectus. Etiam sollicitudin, neque lobortis blandit ornare, magna tortor dignissim nunc, nec posuere orci odio venenatis lectus. A full comparison of how this is different from all the other similar solutions. COPYRIGHT © 2019 Dina Merhbi. ALL RIGHTS RESERVED. YES!I am ready to stop dieting and start nourishing!